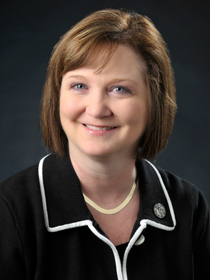 Diane D. Newton is the Chief Financial Officer and is responsible for the leadership and management of the University’s Division of Finance and Administration. The mission of Finance & Administration is realized through the personnel reporting to the Vice President to orchestrate the planning, design and implementation of the financial and business service operations of the University. The division is committed to promoting and supporting the University’s strategic mission of academic vitality, integrity and diversity. The Vice President oversees the departments of Budget, Financial Accounting, Housing & Residence Life, College Square, contract services, food service, bookstore, Student Accounts, Purchasing, facilities management, Scholarship Compliance, and student Financial Aid.